What we learned from the sixth round of Vodacom Super Rugby, according to CRAIG LEWIS. After claiming three impressive wins over South African opposition, a new-look Bulls team were winning understandable praise. They came into Saturday’s clash against the previously winless Chiefs after a bye, and yet it almost looked like they were still on holiday as the Pretoria-based side produced an utterly listless effort. Thrashed 56-20 in the end, the Bulls also conceded nine penalties and 14 turnovers as they were humbled at home. Considering that the New Zealand side had previously lost to the Sunwolves at home, and conceded more than 50 points against the Brumbies, this will serve as a serious reality check for the Bulls. On more than one occasion last year, Rassie Erasmus hailed the consistent improvements of Makazole Mapimpi. Although the winger has always been blessed with blistering pace, the Bok coach raved about how the winger had worked on his aerial skills. 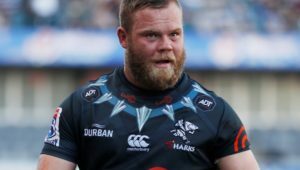 At the start of this season, the Sharks star has certainly looked to be in fine form, and he was at it again on Saturday. 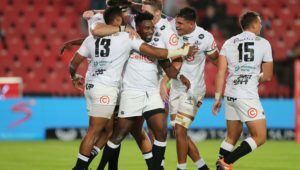 Although the Sharks set up a good win against the Rebels based largely around an efficient power game, it was Mapimpi who made the biggest impression among the backs. Besides scoring an important try, Mapimpi made six carries, beat five defenders and racked up 78 running metres. In a World Cup year, Erasmus will be sitting up and taking notice. At a time when the Lions are missing a number of key forwards to injury, they have needed a key Springbok forward such as Malcolm Marx to make his presence felt. 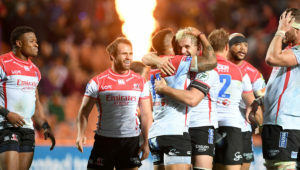 He did just that as the Lions orchestrated a comeback victory against the Rebels in round five, and he was an instrumental figure yet again on Saturday. As the beating heart at the centre of a dominant effort from the forwards, Marx scored two tries as the Lions ground out a win against the Sunwolves in Singapore, while he is also credited with making 10 tackles and winning three turnovers. Considering he has had to also fill in as captain for the Lions, coach Swys de Bruin will be thrilled to see that the leadership has not had an adverse effect on his play. For large parts of Saturday’s clash in Wellington, the Stormers looked well-placed to end a 10-match losing streak in New Zealand. After an impressive first-half performance, the visitors led by six points at the break, and it was an advantage that they also re-established at the hour mark. 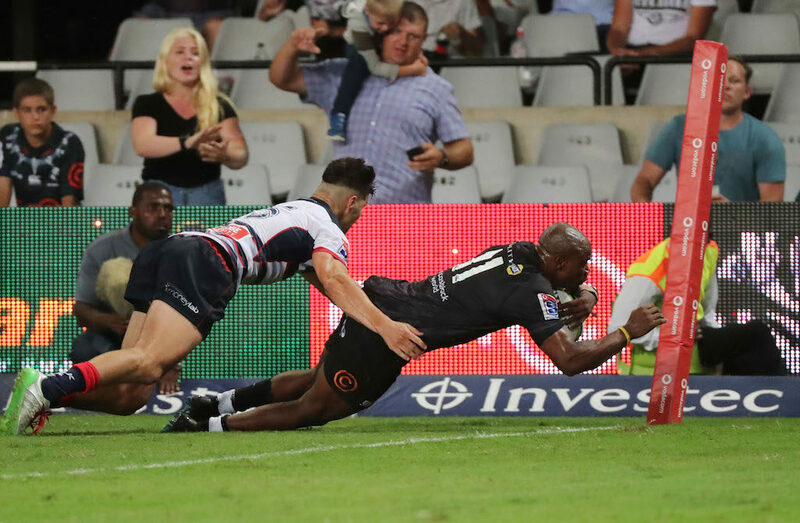 Yet the Stormers faded at key moments, with SP Marais particularly guilty of some poor defence on his opposite winger, while a couple of lost lineouts proved extremely costly. Coach Robbie Fleck will also be mightily frustrated by some of the poor tactical and exit kicks that simply gifted possession back to the Canes. For the Stormers, it was a real missed opportunity to claim a rare win overseas. As the saying goes, all good things must come to an end. For the Crusaders, that proved to be the case on Saturday as a record 19-match winning run was finally broken. 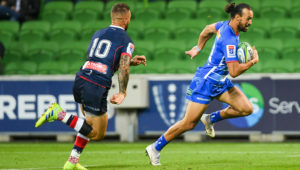 Ultimately, the defending champs simply failed to establish any momentum to their game, and met their match in the form of a well-organised Waratahs side. One has to wonder whether the tragic shooting in Christchurch has perhaps left the team reeling to some degree, and they now face what is sure to be a tricky fixture against the Hurricanes in Wellington. Meanwhile, Saturday’s surprise result now sees the Saders clinging on to just a one-point lead at the top of the standings.